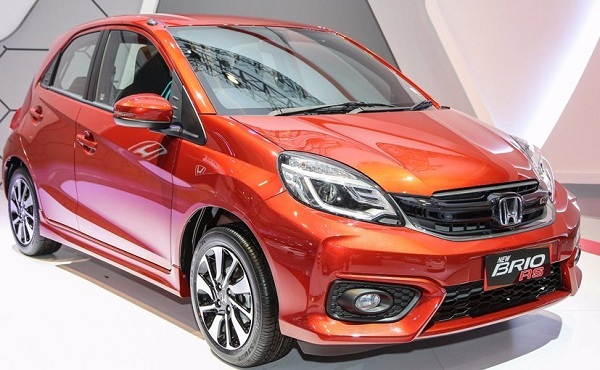 Honda Prospect Motor, the Indonesian alliance of Japanese car maker Honda Motors had introduced facelift version of Brio hatchback during ongoing Indonesia International Motor Show. It would be interested to know that apart from introducing facelift version of regular Brio, HPM also unveiled the RS version of Brio which embellished sportier body kit and 15 inch wheels. Under the hood facelift Honda Brio is enriched with i-VTEC 1.2 litre engine that churns the power of 80bhp and torque of 110 Nm at 6,000 rpm and 4,800 rpm respectively. The engine will be mated with five speed manual gear and CVT transmission system and is offered in fascinating six color options of Lunar Silver Metallic, Passion Red Pearl (for Brio RS), Brilliant Sporty Blue Metallic, Crystal Black Pearl, Rallye Red (for regular Brio), Taffeta White, and Modern Steel Metallic. 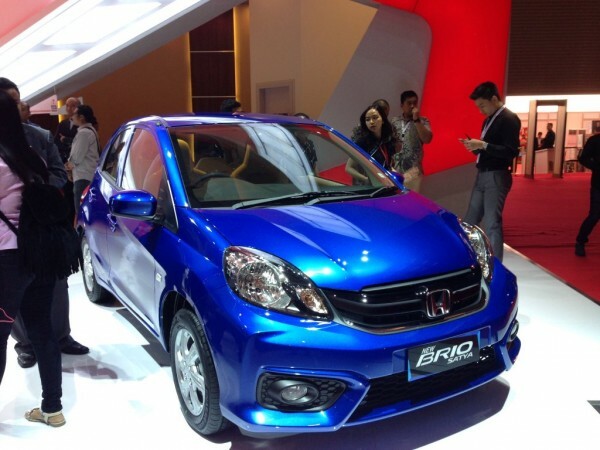 Talking about the changes that are offered in facelift Honda Brio it would be interested to know that front fascia has been newly developed with new bumper than compared to bumper of existing Honda Brio. The new black colored grille has been adorned to give it completely a sportier touch. The side and rear profile remain same, except the introduction of thick chrome slats in between tail lamps. It also get 14 inch newly designed alloy wheels. Inside the cabin it receives newly developed dashboard similar to BR-V SUV, newly developed audio system, LED high mount stop lamp, steering mounted audio controls and projector headlamps and ABS for RS version followed by 6.2 inch touchscreen unit.